Abies concolor 'Morton' is a dwarf selection of White fir with gray-green needles, often seen with a flattened, nest-like structure when young. After 10 years or so, a mature specimen will assume a densely conical shape, measuring 24 to 30 inches (60 - 75 cm) wide and 12 inches (30 cm) tall, an annual growth rate of 2 to 3 inches (5 - 7.5 cm) per year. 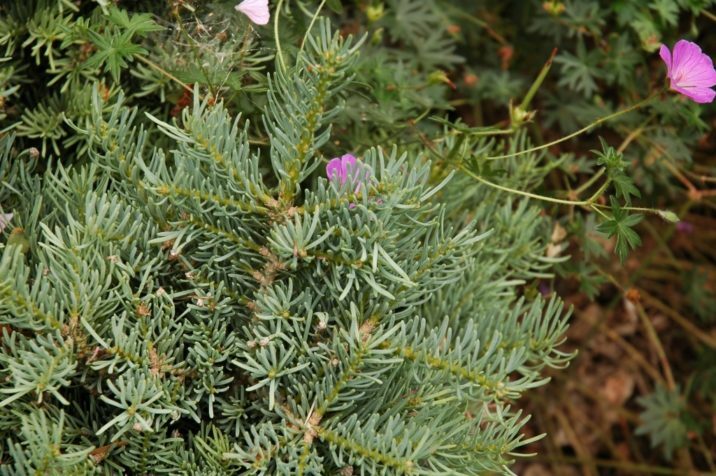 This cultivar originated as a witch's broom found in 1993 by Rich Eyre of Woodstock, Illinois on a specimen of Abies concolor 'Conica' at the Morton Arboretum, Lisle, Illinois. Rich later introduced it to the nursery trade through his family nursery, Rich's Foxwillow Pines. Occasionally this plant will be seen listed as 'Conica WB' which in all likelihood was a provisional name. Abies concolor 'Morton' — a closeup of foliage detail. 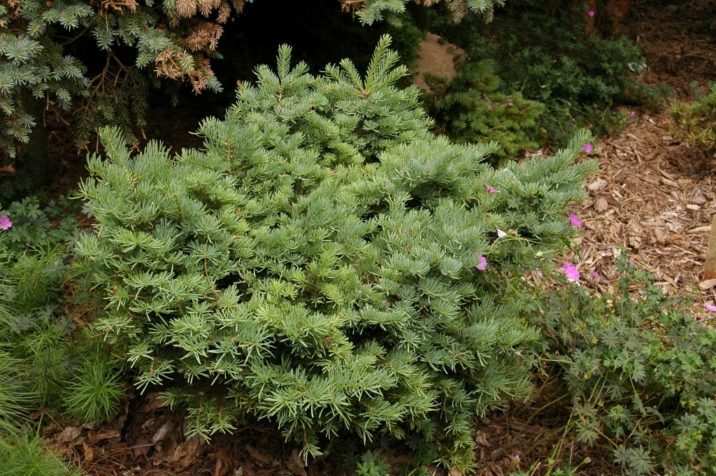 Abies concolor 'Morton' — a relatively young specimen specimen in a private garden. 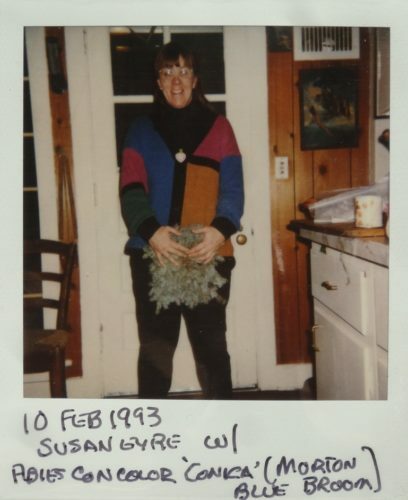 Abies concolor 'Morton' — an historic photo of Susan Eyre posing with a piece of the original broom.